In among the fictional film screenings, EIFF 2017 has a wealth of documentary features vying for your attention (and the annual EIFF documentary award). We've picked half a dozen of the most interesting and diverse documentaries, including films on space exploration, chicken breeding and Native American musicians. Bristolian Archibald Leach found fame in the US as one of Hollywood's hottest stars. This documentary charts his journey, using archive footage, interviews and home movie excerpts. As much a paean to classic Hollywood as it is to Grant himself, it also examines his experimentation with LSD. Odeon, Lothian Road, Thu 22 Jun, 6.15pm; Filmhouse, Sat 24 Jun, 6.10pm. This wonderfully-titled film is a fascinating blend of documentary and fiction. Chico Pereira's film follows his 73-year-old uncle on a countryside trek with his donkey and dog, whereupon a narrative construction influences events. Odeon, Lothian Road, Thu 22 Jun, 6pm; Cineworld, Sat 24 Jun, 8.40pm. Space probe Voyage 1 was launched in 1977 and became the first man-made object to leave our solar system. Its primary objectives were to explore Jupiter, Saturn and Saturnian moon Titan. Emer Reynolds' documentary features interviews with the people behind this extraordinary mission. Cineworld, Thu 22 Jun, 6.05pm & Sat 24 Jun, 3.35pm. 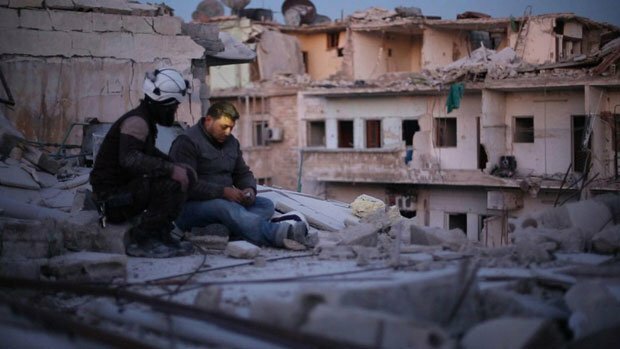 The shocking story of the founding members of the Syrian Civil Defence (aka The White Helmets) who risked their lives trying to save others after last year's devastating siege of Aleppo. Cineworld, Thu 29 Jun, 6.05pm & Sat 1 Jul, 6.05pm. Set in the run up to the 2015 National Poultry Show, this amusing documentary about the fierce rivalries and strange customs involved in New Zealand chicken breeding resembles the plot of Christopher Guest mockumentary. Cineworld, Sat 1 Jul, 8.50pm; Odeon, Lothian Road, Sun 2 Jul, 3.30pm. A fascinating look at the history of Native American musicians and how they helped shape the history of American popular music. Cineworld, Sun 25 Jun, 6.15pm & Tue 27 Jun, 6.10pm. As part of the Ibero-American Documentary Film Festival Scotland, a screening of Chio Pereira's documentary about Manolo and his donkey who go on a journey to walk across the American Midwest. A Q&A from the director will follow the screening. Documentary on the life of movie legend Cary Grant. A music documentary exploring the unknown and unsung Native American musicians who helped to shape modern-day culture. It is one of humankind's greatest achievements. More than 12 billion miles away a tiny spaceship is leaving our Solar System and entering the void of deep space – the first human-made object ever to do so. A documentary following the White Helmets, a search and rescue organisation fighting to keep Aleppo's remaining residents safe.